Some people learn best by listening. 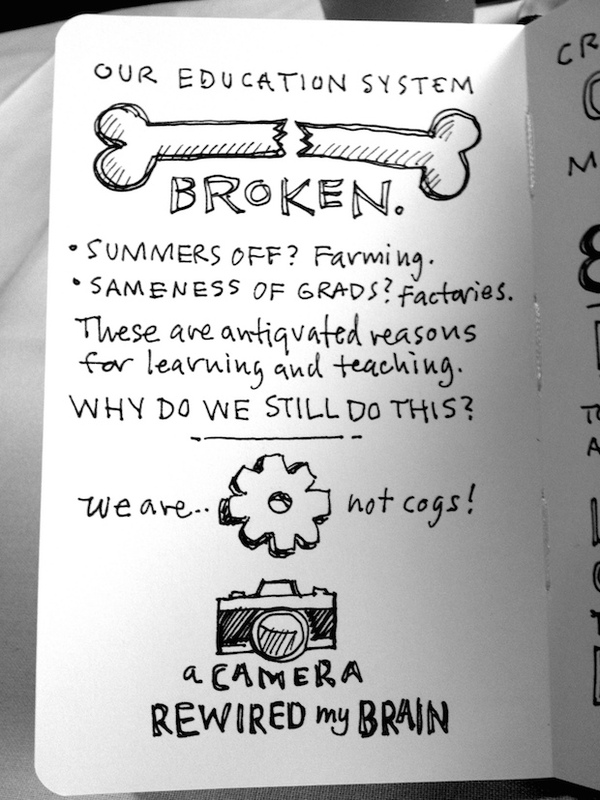 Others, like Mike Rohde, learn best with a pen in hand. Milwaukee-based designer, author, and illustrator Mike has made a career out of illustrating all kinds of things. But it’s his visual note-taking of the keynote speeches he attends and watches that have gotten him attention lately. Calling it “sketchnoting,” Rohde says he believes it’s important to share ideas in a variety of ways, including illustrations. He’s also passionate about sharing advice and guidance on how other visual learners can make use of the skill. “I believe it’s important to share thoughts, ideas and process, so others can draw insight from my experiences,” Mike explains on his website. 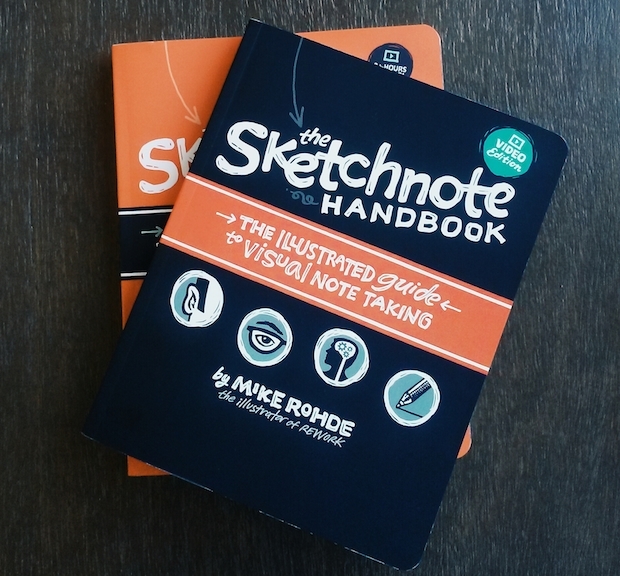 In his books, The Sketchnote Handbook and The Sketchnote Workbook, Mike explains how not only to create cohesive, easy-to-follow illustrated notes, but also how to revise them, reshape them, and how to turn them into a story. Rohde has illustrated TED talks, keynotes, and other speeches at events like SXSW and Summit Basecamp. Chase Jarvis from Chris Guillebeau on Vimeo. 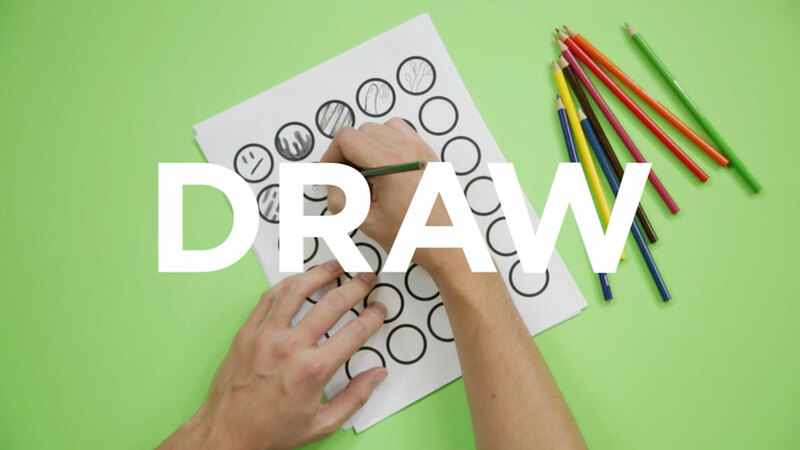 Even if you’re not a great artist, Mike’s advice is great for improved learning, generally. 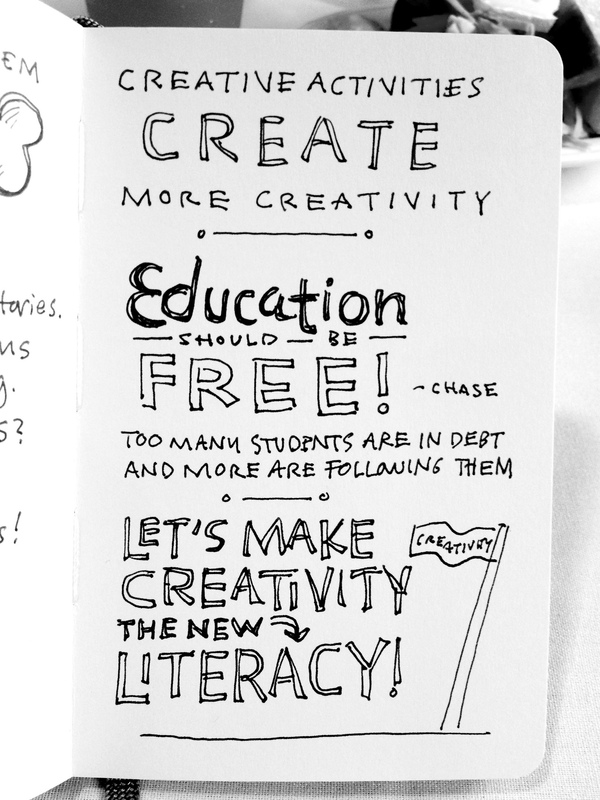 Drawing or doodling while listening to a talk has been shown to heighten retention, and increase creativity following the talk. Even just taking a leaf from Austin Kleon’s proverbial book and keeping a legal pad near your phone can aid in concentration and give you something to look back on following a call. This is especially useful for, say, freelancers who take a lot of phone-calls and group meetings where they’re the only person in the room. Want to up your note-taking game? Check out Mike’s website for more information on sketchnoting and visual storytelling.